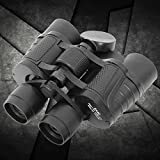 Top 10 Best Binoculars in India – How to choose a reliable and good pair of binoculars for bird watching or star gazing - Top 10 In India - Only The Best of everything! LATEST product list, updates regularly! This video will give an idea of the magnification of Olympus 8X40. Looking for a high quality pair of binoculars? A pair of binoculars can help you do many things, from watching sports close-up in a stadium to birdwatching to looking at monuments and much more. If you want a good pair of binoculars then you have to spend a little bit of money. There are many cheap binoculars around that hardly deliver any magnification and in fact it is more difficult to see something with them than without them. These are the cheap 300 to 800 rupees binoculars that promise some huge magnification and filters and special vision but actually are totally useless. The minimum threshold for a decent pair of binoculars is about 3000 to 4000 rupees. If you spend this basic amount of money you will get a pair of binoculars that will let you see a clear picture at a high magnification and last you several years. The first level of good quality binoculars is the Olympus binoculars. If you are starting out and want an entry level binoculars, then start with the Olympus 8X40 binocs. These binoculars have an 8X magnification and 40 mm diameter of the objective lens or the bigger lens towards the outside. We suggest that you reduce the sound in this video as the music is loud and distracting. Keep moving back and forth to compare the normal and binocular enhanced images to get an idea of the magnification, it is not as much as it suddenly appears. In the last image notice the red roofed house, and keep that as a reference point and you will get a better idea of its magnification. This list of Top 10 Best Binoculars consist of the bestsellers that are dynamic and updated every day. Which means that they are the most up to date and accurate reflection of the most popular binoculars. All the lists in www.top10in.in are dynamic and change every day to reflect the updated positions of the binoculars. This means that you will never end up with old and outdated binoculars, and always get the best and latest binoculars in the market. Let's get straight to the point. Most people buy binoculars that aren't of a very good quality or build. The reason is, they buy binoculars as a passing fancy, as something they will try out and discard soon. That is why the absolute top ranking binoculars are fancy but low quality binoculars, which will not give you a really good viewing experience. If you are looking for a good quality binoculars which will let you see far off things with good magnification and good clarity then you will have to look beyond the cheap low quality options, and check out the only two brands from the Top 10 best binoculars in India 2017 list that are worth buying - Olympus and Celestron. There are three models of Olympus binoculars in the top 10 list, and there is a reason why they area there. Olympus is the best entry level binoculars available in India. They are so popular that almost every birdwatcher starts out with a pair of Olympus 8X40 binoculars and slowly graduates into bigger better binoculars. If you are looking to buy a pair of binoculars which will let you see with excellent clarity and deliver a consistent and solid performance go in for Olympus. If it is your very first binocular buy the Olympus 8X40 binoculars. 8X40 means magnification of 8X and lens diameter of 40mm. This means ample light and a pretty good level of magnification that will suffice for most activities. The Olympus 10 X 50 binoculars is a great option if you have a bit of experience in using binoculars. If you start with them you will find some difficulty in aiming at the right spot to see what you want to, as the area you see becomes considerably reduced. However if you have even a little bit of experience using binoculars, this pair will be a real delight to use. The Olympus 8-16X40 binoculars will give you a variable magnification, as an added advantage. Our recommendation is to go in for a pair of Olympus binoculars. They will deliver the goods and stand you in good stead in all situations. Great for bird watching, safaris and scenery viewing. They can also be used for sports viewing. The Celestron Skymaster is a specialised pair of binoculars for night sky gazing. It has a high aperture enabling good low light viewing and is especially good for star gazing. It has a a magnification of 15X and lens diameter of 70mm. It also comes with a lifetime guarantee on workmanship, which speaks volumes about its quality. If star gazing is your thing and you don't want to be stuck to one spot with a telescope then go in for the Celestron Skymaster 15X70 binoculars. Go ahead and pick a pair from the Top 10 best selling binoculars in India! 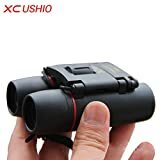 Bird Watching Binoculars: Full 8 x magnification, 40mm object lens diameter,430-Feet field of view at 1000 yards,The wider field of view makes it easier to follow fast moving birds. Easy on Focus: The large smooth Center Focus Wheel and adjustable interpupillary distance make the binocular easy to focus on the target, bring objects up close, get the finest detail. High Powered Zoom Prism offer sharp, clear, high contrast images while the 40mm fully multi-coated lenses deliver the brightness and color fidelity you need. Durable,Stable with eyepiece and Lens Protection Covers,provide Security No-Slip Ergo-Grip, Completly adjustable to children and adults,perfect for Sight Seeing. 100% RISK FREE PURCHASE: Keeping you satisfied is our number one goal. Kindly drop us a mail with your queries, we are here to assist you the best. Durable and Portable: Stable with eyepiece and Lens Protection Covers; Lightweigth and compact design ,easy to carry,suitable for any outdoor activities. What You Get: 8x40 binoculars,Carry bag,Glass cleaning cloth,welcome guide,our worry-free 12-month warranty and friendly customer service. 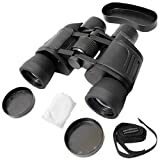 8 x magnification power, 40 mm objective lens diameter, 22 mm eye pieces, 188 ft/1000 Yds (68M/1000M),great focus on fast-moving subjects,everything you can see in HD Compact size L=18 B=14 H=5 in cm ,strap and pouch included, built with standard tripod screw. Product usages are its portable for hunting, bird watching, camping, hiking, backpacking, traveling, concerts, sporting events and other outdoor adventures. The large smooth Center Focus Wheel and adjustable interpupillary distance make the binocular easy to focus on the target ,brings the objects up close,get the finest detail. Durable Stable with eyepiece and Lens Protection Covers,provide Security No-Slip Ergo-Grip, Completly adjustable to children and adults,perfect for Sight Seeing. Olympus is the best known brand of binoculars in India as they deliver very good quality at an extremely affordable price. There is a pretty wide range of Olympus binoculars available, and you will be surprised to see the variety. You will find a good Olympus binocular for every need, be it bird watching, sports watching, star gazing or anything else. If you are into star gazing and watching the sky, then you absolutely have to check out the Celestron 25X100 Skymaster binoculars. They are huge, and not meant to be held by hand for long. Instead they will need some sort of a stand or tripod to use, but they will absolutely split open the night sky for you. 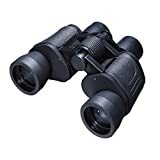 These binoculars up until now have not been available in India but thanks to the Global Shop of Amazon, you can easily buy them from the comfort of your home now, no matter where you are in India. Have a look at this video of the Celestron 25X100 Skymaster and then check them out by clicking the button below the video.